Ear temperature readings, Forehead temperature readings and room temperature readings. Our 3-in-1 Thermometer is accurate to 0.2 degrees in just 1 second. 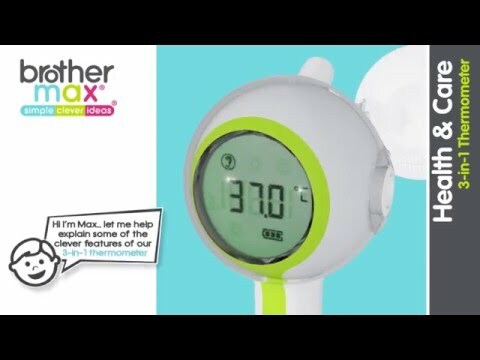 One Touch 3-In-1 Thermometer (Green). Unlike other thermometers, there's no need for probe covers; just wipe after each use. Suitable from birth, it’s perfect for the whole family. BPA and Mercury-free and as you’d expect, a certified medical device. For forehead, room & ear temperature readings. One touch - accurate to 0.2 degrees in just 1 second. No need for probe covers; just wipe after each use. Forehead scan-mode provides more accurate readings than ever. Ear & forehead temperature readings in one touch.